There are difference in SESB and TNB. SESB is Sabah Electricity Sdn Bhd while TNB is Tenaga Nasional Berhad. There were large usage of electricity during May 2014. There is a report said the highest in country history due to the current hot weather and dry spell. TNB general manager Omar Sidek said Malaysia recorded power usage of 16,583 MW on May 28. Usage of electricity from 2 PM to 5 PM remained at peak every day. Experts warned everyone of us lowering the electricity consumption at that period. For example, regulating air conditioning between 23 and 25 Celsius, do ironing at night or washing machines and boil water during off peak periods. Besides, there were an advice on factories to operate machines at night rather than at day. Our power management in Malaysia could be proved weak due to our electricity tariff policy is not strengthen enough. In South Korea, they have this seasoned tariff rate. On the peak period, the electricity tariff is slightly higher as for off peak period the electricity tariff is charged lower. Our electricity tariff is calculated based on fixed rate. In order to change factory operator mind, we need to polish our electricity tariff to help factory operator have a thought to operate at night rather than at day light. Despite that, studying the chart above Sabah electricity is cheaper than TNB the company controlling power supply at west Malaysia. The chart above is leaned on home consumer rather than business. Business were using different tariff and will slightly lower favoring the business in Malaysia. Those who use more than 700 kwh as a consumer rather than business will be charge at RM 0.54 more or less. Not to mention there will be 1.6 % borne by consumer if their electricity tariff hit 301 KWH. New Electricity tariff has been revised and imposed effective on January 1, 2014. Many people had experienced hike in their electricity bill. There were reasons behind all these. It is complicated to explain and understandable by most of us. So, we were being educated how to conserve electricity. Moreover, it is a wrong perception that the new electricity tariff affected business in Malaysia the most. If you look at that the TNB or SESB website, there were two different tariff one is for business and the other one for business. 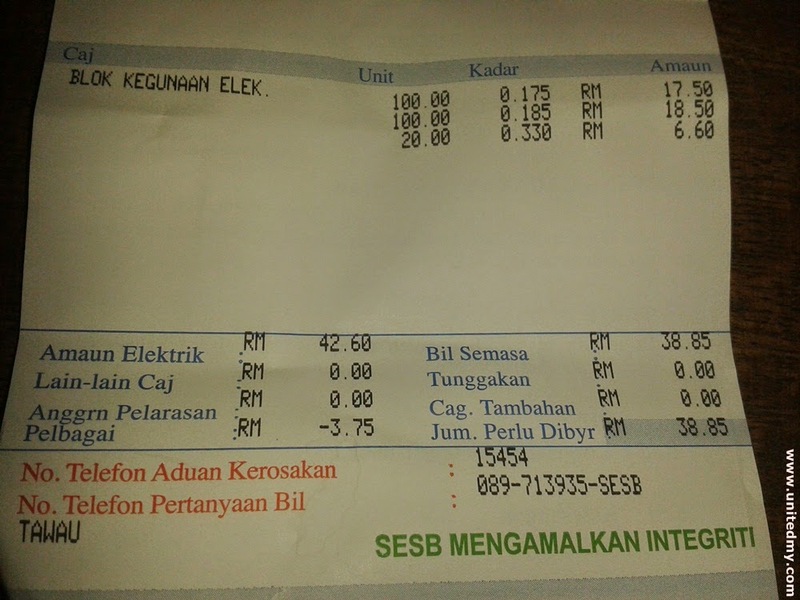 In fact, home electricity tariff is more expensive than business operator. Businesses in Malaysia should not make excuses to increase their price without doing extensive research.